by the fabulous Linda Grimes!!!! 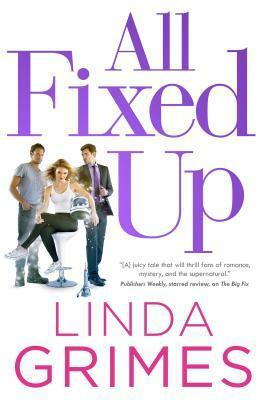 Linda is one of my Wolf Pack Sistahs at Wolfson Literary and she was super-duper sisterly and sent me an advanced copy of ALL FIXED UP!!! I love her for not making me wait to find out what happened to one of my favorite characters in the book world. And since I just finished reading ALL FIXED UP, I get to tell everyone how awesome it is AND I get to be one of the nicest people on the planet because I’m sharing my copy with another Ciel fan. The hilarious adventures of human chameleon Ciel Halligan continue in the fourth installment of this original urban fantasy series, All Fixed Up. 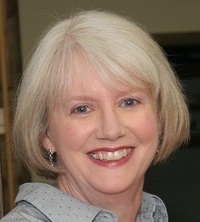 Ciel Halligan, aura adaptor extraordinaire, has a lot of experience filling in for her clients–as them. A rare genetic quirk gives her the ability to absorb human energy and project it back out in a flawless imitation. She’s hard at work, posing as a well-known and celebrated astronaut, about to make a stunning announcement on behalf of the space program…when the photographer documenting the job sees right through her aura. Worse, it soon becomes apparent that he not only knows Ciel’s not who she’s supposed to be, but means her harm. I’m just going to say it–I LOVE the Ciel Halligan books! I don’t know how Linda Grimes does it, but ALL FIXED UP is my favorite to date. The more she writes, the better she gets. Once again Grimes captures the perfect balance between humor, steamy romance and heart. If you like Janet Evanovich’s Stephanie Plum, but want to add a supernatural twist, you are going to love Ciel Halligan!!!! And in case you’ve some how managed to miss this fabulous series, I wanted you to get a look at all the covers and some of the fabulous reviews. You do see that OUTLANDER’S Diana Gabaldon thinks it’s awesome too! Right along with RT Book Reviews and Library Journal. And me, of course. And now, the moment you’ve all been waiting for. 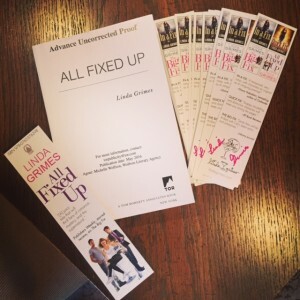 It’s time to give my ARC of ALL FIXED UP to one lucky winner!!! The Rafflecopter below will give you all kinds of chances to win.